rrvideojunkie (usa) on 2014-07-04 05:26:57. 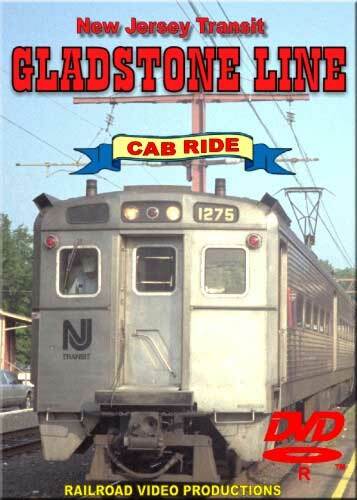 This is probably the best cab ride video this producer ever made. Everything fell into place in the making of this video. It was shot on a sunny hot day in 1990 and there is plenty of action. Many passing trains are seen along with 3 single track meets on the Gladstone Branch. The branch is quite scenic and is little changed today. The real star of this video is the engineer. He is continually talking and passing on information regarding the operation of the train, the characteristics of the railroad, railroad operations, and occasional small talk and humor. He is heard clearly and distinctly and makes a wonderful touch to the program.